The parish of Shotesham is situated in the southeast of Norfolk. It lies south of Stoke Holy Cross, west of Howe and Brooke, east of Newton Flotman and north of Saxlingham Nethergate. The name Shotesham may derive from the Old English meaning ‘The Scot’s Homestead’. Originally, Shotesham was four parishes, including Shotesham All Saints’ and Shotesham St Mary, before they were amalgamated into one unified parish. Shotesham has a long history and was certainly well established by the time of the Norman Conquest. The population, land ownership and productive resources of the four parishes were extensively detailed in the Domesday Book of 1086. According to the document the holdings of Shotesham All Saints’ and Shotesham St Mary included a mill and a stake in two churches (i.e. they were shared with other parishes). A great deal of agricultural land was also mentioned, along with various livestock. The Palaeolithic period is well represented in Shotesham with a collection of Palaeolithic flint flakes (NHER 11658). A couple of artefacts from the subsequent Mesolithic period have been recovered including a flint pick (NHER 17172) and an assortment of other flint tools (NHER 19510). As is often the case the most numerous and diverse prehistoric finds date to the Neolithic period. A whole range of implements have been reported, including axeheads (NHER 14858 and 17178), scrapers (NHER 24251), borers (NHER 17175), arrowheads (NHER 17176 and 31684) and an unusual macehead (NHER 10093). The Bronze Age is the only period of prehistory to have any identifiable sites. Two ring ditches (NHER 10112 and 36528) have been noted on aerial photographs of the parish. In addition to these features a number of characteristic Bronze Age objects have also been found. These consist of a palstave (NHER 50248) and an axehead (NHER 39955). Very few Iron Age finds have been recovered from Shotesham. A number of pottery sherds (NHER 24537) have been found to the south of Lathgreen Farm with a miniature terret (NHER 25613) and odd Iron Age/Roman brooch (NHER 29777) comprising the only other finds. We have clear evidence for Roman occupation within the parish. A Romano-British settlement (NHER 10099) has been found to the southwest, near to Saxlingham Nethergate. This site has been extensively investigated from 1967-96 using fieldwalking, metal detecting and aerial photography. Traces of Roman buildings and a water pipe have been found on the surface here and some of these features are also visible as cropmarks. A huge range of finds have also been recovered including coins, tesserae, tiles, jewellery, dress fittings, metal working debris and pottery sherds. A Roman road also runs through Shotesham (NHER 10160). This was identified by the alignment of hedges and field boundaries. As might be expected for a parish with a settlement, a large number of Roman artefacts have been recovered. Of particular note is a Late Roman 'soldiers and settlers' type buckle decorated with two dolphin heads (NHER 29777) and pieces of Roman mosaic that were retrieved from a stream (NHER 39547). The other finds tend to be more mundane items like coins (NHER 10125 and 20736), brooches (NHER 20100) and pottery sherds (NHER 10148 and 19766). All these finds are widely distributed across the parish and most have been recovered thanks to the efforts of metal detectorists. 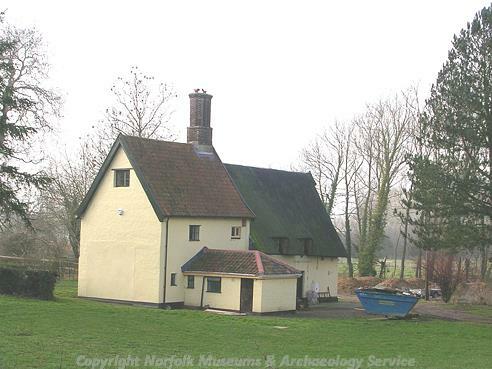 A range of metal artefacts, coins (NHER 29901) and pottery sherds (NHER 19703), represents the Saxon period in Shotesham. Only a small selection of these finds can be mentioned here but some of the more interesting pieces include a fragment of a Late Saxon penny that had been fashioned into a piece of jewellery (NHER 40000), a Middle Saxon caterpillar brooch (NHER 19944) and a Late Saxon disc brooch with Borre style decoration (NHER 39888). 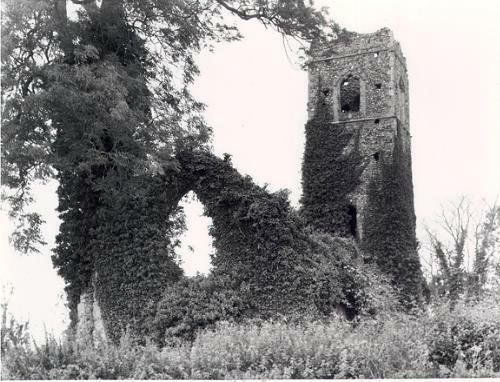 No Saxon monuments survive although it has been claimed that the ruined Church of St Martin (NHER 5391) had Saxon origins. The medieval period was a very busy one for the parish. A consolidation of the population into the larger settlements meant the abandonment of several smaller sites. One such village was Grenevill (NHER 20683), which was mentioned in the Domesday Book and which may have been located west of modern Shotesham and just to the north of the Kennels. Sadly, no trace of this village survives but this is not the case with the deserted village of Shotesham St Mary (NHER 5391). Here there are numerous earthworks relating to the dwellings that surrounded the moated remains of the Old Hall. The south wing of this mansion dates to the 1580s although much of the current building is of later date (17th/18th century). Other features identified here include a dovecote, various trackways, tofts and part of a possible deer park. The church related to this settlement was dedicated to St Martin and has been discussed earlier. Of the other three medieval churches, only two survive: All Saints’ (NHER 5390) and St Mary’s (NHER 9631). All Saints’ has a picturesque position on a hillock above a small open valley with a meandering stream. The earliest parts of the church date to around 1300, with the rest dating to the late 14th/15th century. Inside, a 19th century kaleidoscopic stained glass window imitates those found in Milan Cathedral. St Mary’s is situated away from the main village. It has a flint-built chancel and the north chapel dating to 1486 and has an intriguing south door which features spyhole grating and a decorated doorplate. It has also been claimed that the sanctus bell of the church was brought back from Sebastopol in the Crimea. The last of the four churches is St Botolph’s (NHER 9632), which was destroyed at the Reformation. Very little remains on the heavily overgrown site but a study of the foundations shows the tower would have been square. Several non-secular buildings can also trace their origins back to the medieval period. These include properties like Tollgate Cottage (NHER 16613), Church Cottage (NHER 31131) and Naidens (NHER 37518) – both of which may have originally been hall houses as well as Brookfield’s timber-framed farmhouse (NHER 48461). A huge number of medieval finds have been recovered from across Shotesham. The comprehensive range of objects show the whole gamut of human activity. Coins (NHER 21027 and 38064) and coin weights show trade (NHER 10094), cauldron parts (NHER 19848) and furniture fittings (NHER 19939) illustrate domestic life while horse harness fittings (NHER 50003) and crotal bells (NHER 40847) show the exploitation of animals in agriculture and the find of a chrismatory (NHER 24537) relates to the religious practices of the parishioners. During the post medieval period Shotesham diversified its economic base. In addition to farming, a certain amount of manufacturing took place. A brickworks (NHER 17371) once stood behind the houses of Shepard’s Close on Priory Lane. Little now remains although several large brick pits and the remnants of a 19th century brick house do survive. There was also a watermill (NHER 10118) and windmill (NHER 15975) in the parish at this time. The miller’s house associated with the watermill is still inhabited but nothing obviously relating to the windmill survives. The goods produced by these would have supplemented the income from selling farm produce. However, the number of farmhouses and barns built during the post medieval period would suggest that farmers were prospering. Farmhouses built in this era include those at Greatwood Farm (NHER 12104), Lathgreen Farm (NHER 14051), Malthouse Farm (NHER 19481) and Grove Farm (NHER 19483). A number of other fine buildings were erected in the post medieval era. First and foremost of these was Shotesham Mansion (NHER 10114), which was built by Soane in about 1785. The building may have been modelled on Tendring Park in Suffolk. It is constructed from white brick and has Venetian windows set in blank arches at ground floor level on the southeast side. The house has a walled brick garden of red brick with an attached cottage to the east, which possibly predates the house. 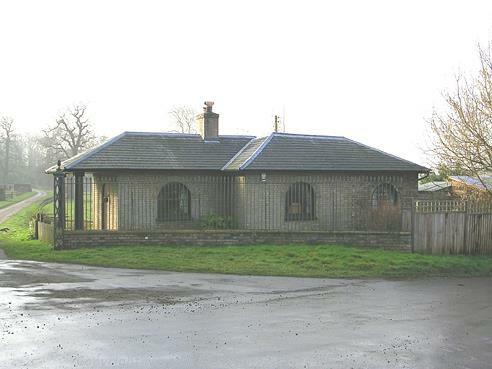 In the grounds there are two icehouses (NHER 17240) and a set of stables and outbuildings (NHER 45516). Troops were billeted here in World War Two and some graffiti written by them have been recorded in the attic rooms. The surrounding Shotesham Park (NHER 30523) was laid out in the 1780s on the site of previously open fields. It was expanded twice in the 19th century. They complement the majestic Shotesham Mansion house quite nicely. The Dukes Head public house (NHER 5393) is also worth a mention. It dates to 1712 and is built from brick with shaped gables and a seven bay façade. The windows have an odd appearance owing to the edging of 19th century stained glass. There is also a fine, restored 18th century staircase inside. The most intriguing buildings belong to Trinity Hospital (NHER 41029), a set of almshouses that were constructed in 1879 to house eight poor men from the parish of Shotesham who had previously been housed in a hospital in Greenwich. Henry Howard, Earl of Northampton, founded the Greenwich hospital in 1614. The Earl was born in Shotesham, which explains why the Greenwich hospital took men from the parish. A dispensary was also founded in 1771 on Hawes Green (NHER 31206). This facility led to the foundation of the Norfolk and Norwich Hospital. The houses in the hamlet served as the nurses' home, doctor's house, asylum and dairy but many of the buildings have been rebuilt over the years. It is certainly heartening to see the parishioners had systems in place to take care of the old, ill and infirm. There are far too many post medieval artefacts to mention here. Suffice to say they range from mundane buckles (NHER 38159) and spurs (NHER 40403) to more exotic items like a candle snuffer (NHER 20198) and sword belt hanger (NHER 38160). The most recent archaeological records held for Shotesham relate to the World War Two. As mentioned earlier, troops were stationed in Shotesham (see NHER 10114) during World War Two. In addition to this, a decoy airfield was established in the Grub Street area (NHER 13611). This would have served as to provide a counterfeit target for enemy aircraft hoping to bomb military targets/airfields near to Shotesham. Thomas Sunley (NLA) 22 May 2007.